A visual inspection for oral cancer is conducted during a regular cleaning routinely. In many cases, abnormalities can be found just through this examination. 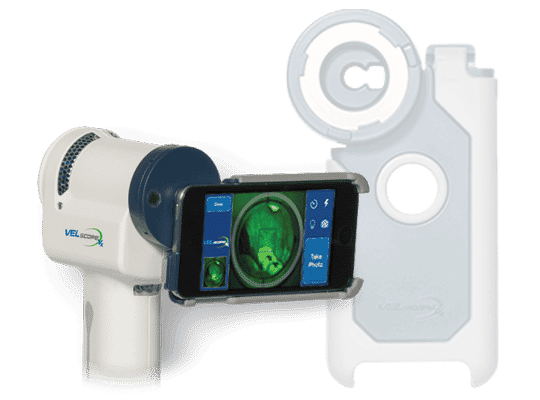 Once a year, we recommend a screening using a VELscope. 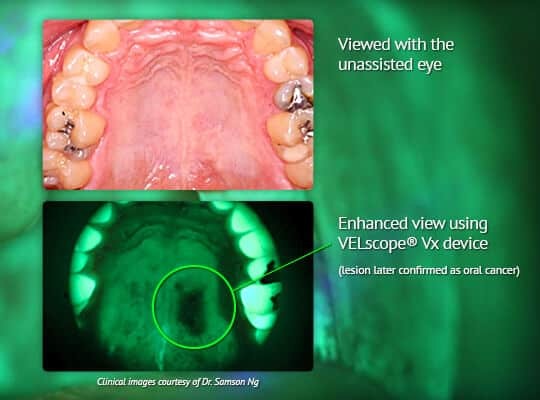 The VELscope is a device designed for oral cancer screening. It utilizes a blue light which illuminates the molecules within the tissue for clear examination. With the prevalence of oral cancer, prioritizing careful screenings is important and can have a significant impact on treatment success. 1 Treating oral cancer is more successful if detected early. 2 Having peace of mind. 3 Being checked is a quick and painless process. Upon arrival for the screening, we will address all of your questions and concerns. During the screening, you are welcomed to partake in our spa services to encourage relaxation. After a short visual examination, we will utilize the VELscope which highlights molecules within your tissue. The blue light is a helpful tool for inspecting your mouth. The entire process is pain-free and fast. If any abnormalities or lesions are noticed, we will discuss the next step for examination. Whether a biopsy or simple observation is the next step, your care will be prioritized. Even if the lesions are cancerous, thankfully, treatment early on has a strong success rate. If you are interested in an oral cancer screening, contact Providence Dental Spa today to schedule your screening.